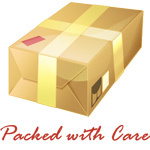 Knowledge Base :: Classification of Amber - Amber Jewelry Store | Online Gateway to Amber Necklaces, Bracelets, Prayer Beads, Baby Teething Necklaces, Pendants, Amber Stones with Insects and Amber Earrings. In terms of amber classification, there is a wide variety of amber products and gemstones that directly depend on the degree of process and the initial raw amber resin material. CIBJO, which is the International Confederation of Jewelry, Diamonds, Pearls and Stones (in French, la Confederation Internationale de la Bijouterie, Joaillerie, Orfeviere des Diamantes, Perles et Pierres) recommends precious and semi-precious stone classifications. Even so, amber classification is not uniformly defined as a source material. The name of amber was previously attributed solely to the succinum acid. An example is the Baltic amber and fossilized resin products which came from the same deposits, such as gedanite, beckerite or stantienite. During the 1950s, each amber piece received its name in accordance to age and geographic specification. This change took place due to the introduction of fossil resin found in the eastern part of islands such as the Island of Hispaniola, found under the property of the Dominican Republic and under the name of Dominican amber. 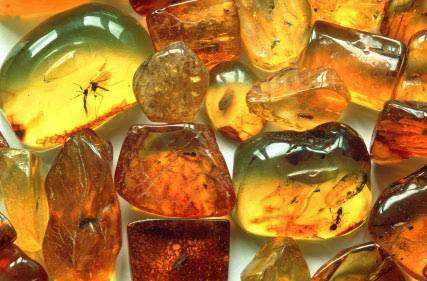 Amber older than 1 million years was named differently according to geographic location. Some amber classification relates to regions such as Sicily, Mexico, Burma, Canada or Borneo. Sicilian amber became known in the amber jewelry industry as simetite, derived from the name of Simeto River in Sicily, while Mexican amber derives from the Chiapas state in the Gulf of Mexico. Burman amber is currently known as burmite, while on the other hand Canadian amber is named cedarite, a name deriving from the Lake Cedar region where it was found. Borneo amber originates from Sarawak, part of the Malaysian island. These are only a few of the many amber classification names currently wandering around in the amber gemstones and the amber jewelry industry. Also notable is the following interesting fact: products originating from fossil resins that do not belong to succinum are not considered to be playing a major role. This is characteristic of the sales structures in the market business. These other products made of fossil resins gather less than 2% of the sales structure in comparison, for example, with Baltic amber, which is one the finest amber resin products in the whole world. The other fossil resin products are not usually big players in what concerns the global market. Amber classification is important in the amber jewelry industry since it directly depends on the degree of amber raw amber material.